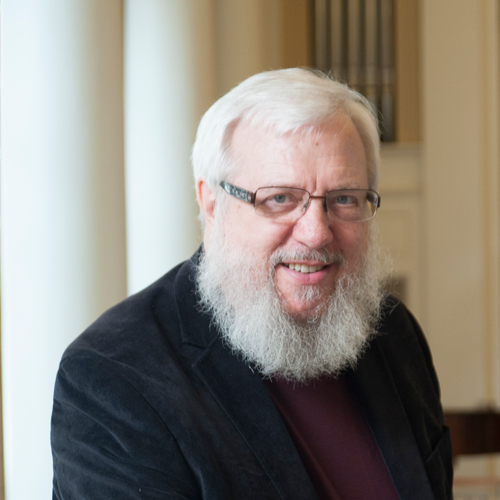 William J. Abraham is the Albert Cook Outler Professor of Wesley Studies, and Altshuler Distinguished Teaching Professor, Southern Methodist University, Perkins School of Theology. He was educated at Asbury Theological Seminary, Regent’s Park College, Oxford University, and Queen’s University at Belfast. He is the author of Crossing the Threshold of Divine Revelation, The Rationality of Religious Belief, Divine Revelation and the Limits of Historical Criticism, and The Logic of Evangelism. He is an ordained elder in the Rio Texas Conference of the United Methodist Church; a member of the General Commission on Unity and Interreligious Concerns of the United Methodist Church; a recipient of the Pew Evangelical Scholars Program Grant, Pew Charitable Trusts; and the winner of the Join Book of the Year Award from the Institute of Christian Studies for Canonical Theism: A Proposal for Theology and the Church. George G. Hunter III is Distinguished Professor Emeritus of Asbury Theological Seminary’s School of World Mission and Evangelism, where he served as Dean for 18 years and Distinguished Professor for 10 years. He served as the founding dean of Asbury's E. Stanley Jones School of World Mission and Evangelism. A sought-after speaker and workshop leader, he is one of the country's foremost experts on evangelism and church growth. He has written over a dozen books, including How To Reach Secular People, Church for the Unchurched, The Celtic Way of Evangelism, Leading and Managing a Growing Church, Radical Outreach: Recovering Apostolic Ministry and Evangelism, Christian, Evangelical and . . . Democrat?, The Apostolic Congregation: Church Growth Reconceived for a New Generation, and The Recovery of a Contagious Methodist Movement, and Should We Change Our Game Plan? : From Traditional or Contemporary to Missional and Strategic. Olujimi (Olu) Brown is married to Farrah D. Brown. They are the proud parents of Daya Elom Brown and Langston Wesley Brown. Olu is a native of Lufkin, Texas. He graduated from Jarvis Christian College in Hawkins, Texas and earned a Master of Divinity degree from Gammon Theological Seminary of the Interdenominational Theological Center in Atlanta, Georgia. He serves as the Lead Pastor of Impact Church, a young congregation in the East Point community of Metropolitan Atlanta (impactdcd.org). With Olu’s vision and leadership, since its founding in 2007, Impact has grown from a core team of 25 people to more than 2,000 attendees each Sunday with a $3.6M budget, making it one of the fastest growing United Methodist Church (UMC) and new church start in the United States. Olu strongly believes in an active church, one that makes a meaningful impact in the lives of individuals and communities. Impact is a multicultural community committed to Doing Church Differently™. Impact DCD redefines the church experience through inclusiveness, relatable messages, energetic weekly gatherings, unique events and activities, relevant youth programs and community outreach. The people of Impact are compelled to help bring healing, justice and compassion to the world. Impact meets around the world online and in person at two locations: Impact on Main Sundays at 10 a.m. and Impact on Sylvan at 7:30 a.m., 9 a.m., 11 a.m. and 12:30 p.m.
Leah Hidde-Gregory is a sixth-generation pastor who had the foundation of her faith forged in the parsonages of her youth. After spending the early part of her ministry in the Oklahoma and North Texas Conferences, Leah came to the Central Texas Conference in 2008, where she pastored local churches in Hillsboro and Italy until her appointment as the Central District Superintendent in June 2016. A Harry Denman Evangelism Award winner, Leah’s passion for evangelism is both obvious and infectious and something she has brought to her myriad leadership roles outside of the local church; including being a mentor on both dCom and Board of Ministry levels, facilitating Healthy Church Initiative groups, leading numerous clergy and lay leadership groups, serving on the District Committee on Ordained Ministry, Central District Executive Committee and chairing the Superintendency Committee.